My HipConf 2018 slide deck about Offline Attacks on Active Directory is available for download. The Restore From Media stuff will be published in the upcoming DSInternals 3.1 release. As we can see from the diagram above, Azure AD exposes a publicly available endpoint that accepts Kerberos tickets and translates them into SAML and JWT tokens, which are understood and trusted by other cloud services like Office 365, Azure or Salesforce. And wherever you have Kerberos-based authentication, it can be attacked using Silver Tickets. In usual circumstances this attack can only be performed from the intranet. But what really caught my attention is the fact that with this new SSO feature, Silver Tickets could be used from the entire internet. Let’s give it a try then! Both of these commands need Domain Admins permissions. Name of the AD domain, e.g. contoso.local. AAD logon name of the user we want to impersonate, e.g. elrond@contoso.com. This is typically either his userPrincipalName or mail attribute from the on-prem AD. SID of the user we want to impersonate, e.g. S-1-5-21-2121516926-2695913149-3163778339-1234. Go to about:config and set the network.negotiate-auth.trusted-uris preference to value “https://aadg.windows.net.nsatc.net,https://autologon.microsoftazuread-sso.com”. Navigate to any web application that is integrated with our AAD domain. We will use Office 365, which is the most commonly used one. 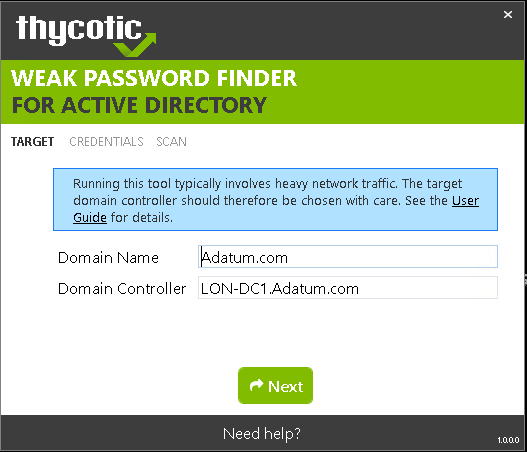 Once at the logon screen, fill in the user name, while leaving the password field empty. Then press TAB or ENTER. To log in as another user, run the command below and repeat steps 1-6. 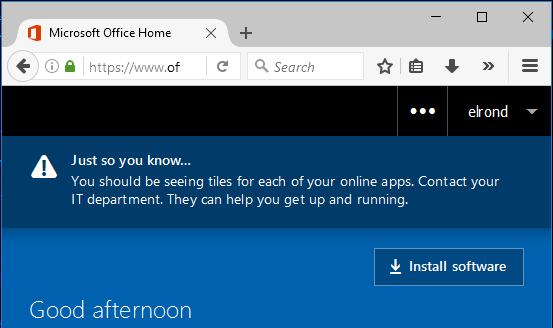 The SSO feature is in Preview and has to be explicitly enabled by an AD admin. Just a handful of companies probably use it at the time of writing this article and enterprises will quite surely stick to their proven ADFS deployments even after this feature reaches GA. 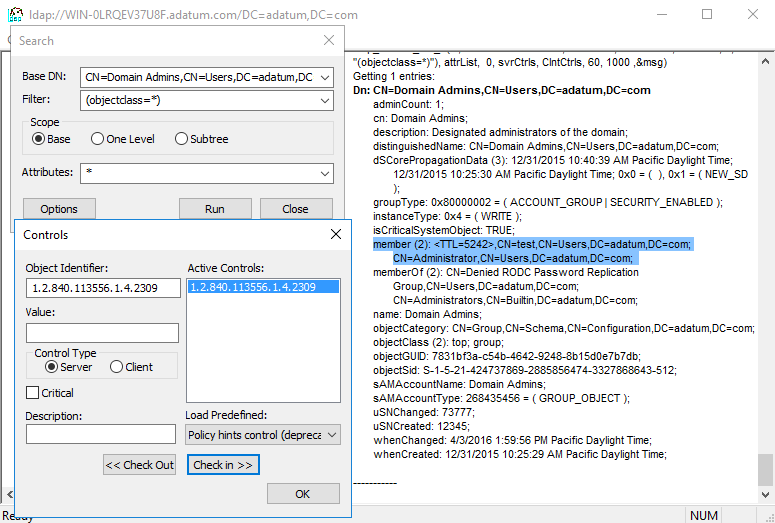 The hash/key of the AZUREADSSOACC account can only be retrieved by Domain Admins from DCs by default. But if an attacker had such highly privileged access to an Active Directory domain, he/she would be able to do some way nastier stuff than just replicating a single hash. 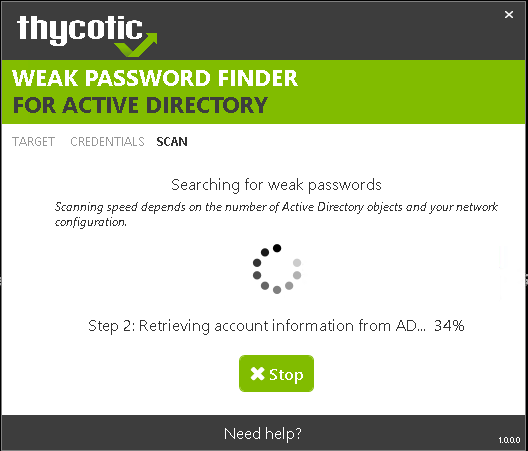 The password of the AZUREADSSOACC account is randomly generated during the deployment of Azure AD Connect. It would therefore be impossible to guess this password. Only delegate administrative access to trusted individuals and keep the number of members of the Domain Admins group (and other privileged groups) as low as possible. Protect backups of Domain Controllers, so no-one could extract sensitive information from them. Enable and enforce Azure MFA for users authenticating from external IP addresses. It is very straightforward and effective against many kinds of attacks. Consider implementing Azure AD conditional access. Deploy Microsoft Advanced Threat Analytics to detect malicious replication and other threats to your AD infrastructure. 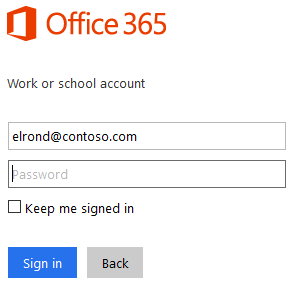 Force a password change on the AZUREADSSOACC account by re-deploying Azure AD Connect SSO running the Update-AzureSSOForest cmdlet after a highly privileged employee leaves the company and/or on a regular basis. This should be done together with resetting the password of krbtgt and other sensitive accounts. Although the Silver Ticket attack has been here for some years, it is now probably the first time it can be used over the internet against a cloud service, which theoretically makes it even more potent. On the other hand, it would be quite hard to perform this technique in a real-world environment due to impracticalities discussed in the previous section, so there is no need to worry. The new Seamless SSO feature of Azure AD Connect can therefore be considered safe and preferred solution for SSO to Office 365 . 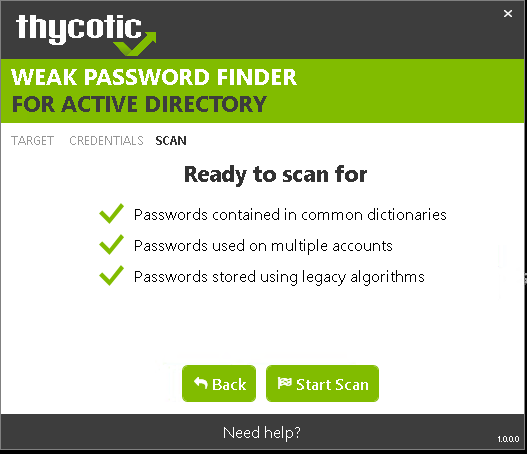 Did I mention that the Weak Password Finder is totally FREE? The latest version of the DSInternals PowerShell Module contains a new cmdlet called Test-PasswordQuality, which is a powerful yet easy to use tool for Active Directory password auditing. 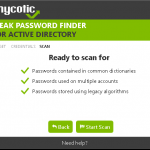 It can detect weak, duplicate, default, non-expiring or empty passwords and find accounts that are violating security best practices. 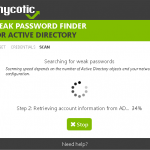 All domain administrators can now audit Active Directory passwords on a regular basis, without any special knowledge. Although the cmdlet output is formatted in a human readable fashion, it is still an object, whose properties can be accessed separately (e.g. $result.WeakPassword) to produce a desired output. I would like to thank Jakob Heidelberg for his idea to use the DSInternals module for password auditing. A big thank you also goes to Ondrej Sevecek for sharing his comprehensive auditing tool called SAPHA, from which I borrowed ideas for a few tests. Dumping NT hashes, kerberos keys and cleartext passwords from ntds.dit files. Modifying the SID History of user accounts and groups. 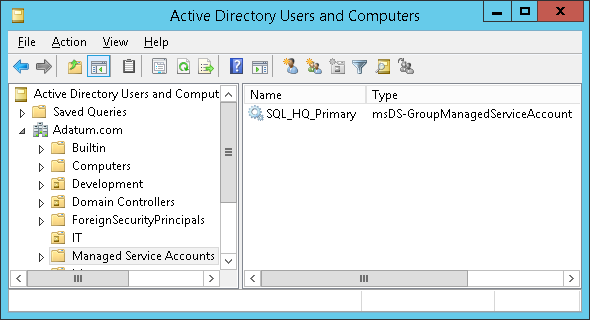 Modifying the Primary Group ID of user accounts. Extracting the DPAPI domain backup keys. 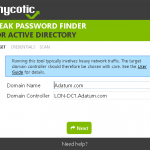 Physical access to a domain controller (DC). Knowledge of DC’s baseboard management controller (BMC) credentials. Administrative access to a virtualized DC. In an ideal world, only Domain Admins should have such non-trivial access to the core AD infrastructure, but the everyday reality is far from perfect. Install the Windows Assessment and Deployment Kit (ADK), including the Windows PE feature. Dism /Add-Package /Image:"C:\WinPE_amd64\mount" /PackagePath:"C:\Program Files\Windows Kits\10\Assessment and Deployment Kit\Windows Preinstallation Environment\amd64\WinPE_OCs\WinPE-WMI.cab"
Dism /Add-Package /Image:"C:\WinPE_amd64\mount" /PackagePath:"C:\Program Files\Windows Kits\10\Assessment and Deployment Kit\Windows Preinstallation Environment\amd64\WinPE_OCs\en-us\WinPE-WMI_en-us.cab"
Dism /Add-Package /Image:"C:\WinPE_amd64\mount" /PackagePath:"C:\Program Files\Windows Kits\10\Assessment and Deployment Kit\Windows Preinstallation Environment\amd64\WinPE_OCs\WinPE-NetFX.cab"
Dism /Add-Package /Image:"C:\WinPE_amd64\mount" /PackagePath:"C:\Program Files\Windows Kits\10\Assessment and Deployment Kit\Windows Preinstallation Environment\amd64\WinPE_OCs\en-us\WinPE-NetFX_en-us.cab"
Dism /Add-Package /Image:"C:\WinPE_amd64\mount" /PackagePath:"C:\Program Files\Windows Kits\10\Assessment and Deployment Kit\Windows Preinstallation Environment\amd64\WinPE_OCs\WinPE-Scripting.cab"
Dism /Add-Package /Image:"C:\WinPE_amd64\mount" /PackagePath:"C:\Program Files\Windows Kits\10\Assessment and Deployment Kit\Windows Preinstallation Environment\amd64\WinPE_OCs\en-us\WinPE-Scripting_en-us.cab"
Dism /Add-Package /Image:"C:\WinPE_amd64\mount" /PackagePath:"C:\Program Files\Windows Kits\10\Assessment and Deployment Kit\Windows Preinstallation Environment\amd64\WinPE_OCs\WinPE-PowerShell.cab"
Dism /Add-Package /Image:"C:\WinPE_amd64\mount" /PackagePath:"C:\Program Files\Windows Kits\10\Assessment and Deployment Kit\Windows Preinstallation Environment\amd64\WinPE_OCs\en-us\WinPE-PowerShell_en-us.cab"
Add the DSInternals PowerShell module to the Windows PE image by copying it into the C:\WinPE_amd64\mount\Windows\system32\ WindowsPowerShell\v1.0\Modules folder. The same command can be used to create a bootable flash drive or VHD. As you have seen, it is pretty straightforward to create a bootable flash drive that can be used to conquer an Active Directory domain through a physically accessible DC. One of the precautions a domain administrator can take is to encrypt all DCs using BitLocker or other tool that does full volume encryption. Deploying RODCs at smaller branch offices is also a good idea. The new features in Windows Server 2016, Virtual TPMs and Shielded VMs, also seem very promising in regards to DC security. Note that once this feature is enabled in a forest, it can never be disabled again. As we can see, the TTL value in the output is in seconds (2h = 7200s). 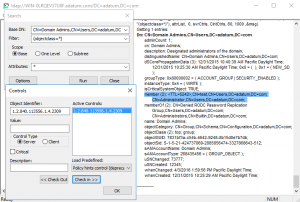 As soon as the TTL expires, the DCs will automatically remove user PatColeman from the Domain Admins group and his current Kerberos tickets will also expire. The expiration_time_col column is added to the link_table table. It contains timestamps (in the UTC FILETIME / 107 format), after which the links get deactivated. This is yet another reason for the time to be in sync between DCs. The link_expiration_time_index index is added to the link_table table. It is created over these columns: expiration_time_col, link_DNT, backlink_DNT. Thanks to this index, DCs can find expired links very quickly. I am happy to announce that a new version of the DSInternals PowerShell Module has been released, now with Windows Server 2003 support. Unfortunately, the built-in GUI will not help us much when working with GMSAs. Although there is a nice 3rd party tool, we will stick to PowerShell. Of course, you should not use the built-in Administrator account in a production environment. 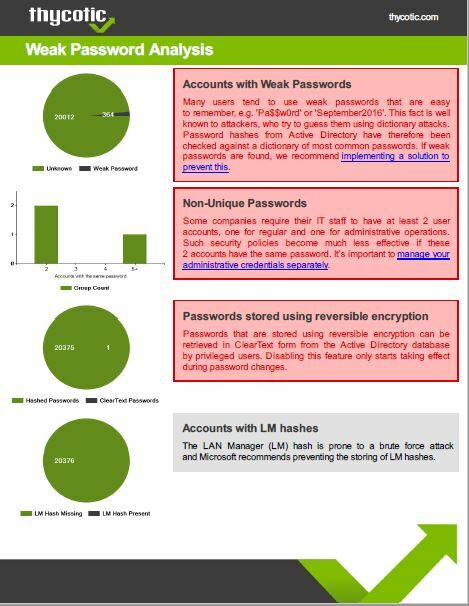 # We have to explicitly ask for the value of the msDS-ManagedPassword attribute. Even a wildcard (*) would not work. Note that until now, we have only used regular, built-in cmdlets from the ActiveDirectory module, courtesy of Microsoft. Let’s have a look at the msDS-ManagedPassword attribute, that has been returned by the command above. It is a constructed attribute, which means that its value is calculated by DC from the KDS root key and the msDS-ManagedPasswordId attribute every time someone asks for it. Although documented, the cryptographic algorithm used is quite complicated. Furthermore, the value of the msDS-ManagedPasswordId gets re-generated every (msDS-ManagedPasswordInterval)-days (30 by default). TADA!!! The CurrentPassword property contains the actual cleartext password of the GMSA in question. Why does it look like gibberish? Because it is just 256 bytes of pseudorandom data, interpreted as 128 UTF-16 characters. Good luck writing that on your keyboard. But if we calculate its NT hash, it will match the hash stored in AD. We have seen that retrieving the value of GMSA passwords is quite easy. But don’t be afraid, there is no security hole in Active Directory. The cleartext password is always passed through an encrypted channel, it is automatically changed on a regular basis and even members of the Domain Admins group are not allowed to retrieve it by default. So do not hesitate and start using the (Group) Managed Service Accounts. They are much safer than using regular accounts for running services. If you want to play more with this stuff, just grab the DSInternals module. And for developers, the C# code I use to decode the structure can be found on GitHub. Good news: I have open-sourced the DSInternals PowerShell Module. Its source codes can now be found at GitHub and Visual Studio 2013 is needed to build it. Just note that it is still work in progress. It lacks documentation and needs some heavy code refactoring. Any help is welcome. The Data Protection API (DPAPI) is used by several components of Windows to securely store passwords, encryption keys and other sensitive data. When DPAPI is used in an Active Directory domain environment, a copy of user’s master key is encrypted with a so-called DPAPI Domain Backup Key that is known to all domain controllers. Windows Server 2000 DCs use a symmetric key and newer systems use a public/private key pair. If the user password is reset and the original master key is rendered inaccessible to the user, the user’s access to the master key is automatically restored using the backup key. The keys are stored in the currentValue attribute of objects whose names begin with BCKUPKEY and are of class secret. The BCKUPKEY_PREFERRED Secret and BCKUPKEY_P Secret objects actually only contain GUIDs of objects that hold the current modern and legacy keys, respectively. Furthermore, the currentValue attribute is encrypted using BootKey (aka SysKey) and is never sent through LDAP. Note that mimikatz would name these files similarly. Restrict access to domain controller backups. Be cautious when delegating the “Replicating Directory Changes All” right.